Weston, M.l.. "Pika". The Canadian Encyclopedia, 01 August 2018, Historica Canada. https://www.thecanadianencyclopedia.ca/en/article/pika. Accessed 22 April 2019. Pika is a common name for the smallest members of the order Lagomorpha, which also includes rabbits and hares. Pika (Ochotona princeps) sitting on a rock in Jasper National Park, Alberta. Pika is a common name for the smallest members of the order Lagomorpha, which also includes rabbits and hares. Pikas are like guinea pigs in size and shape, have relatively short legs, no external tail and almost circular, prominent external ears. Pika are distributed discontinuously along the W coast of N America and throughout Asia and European Russia. 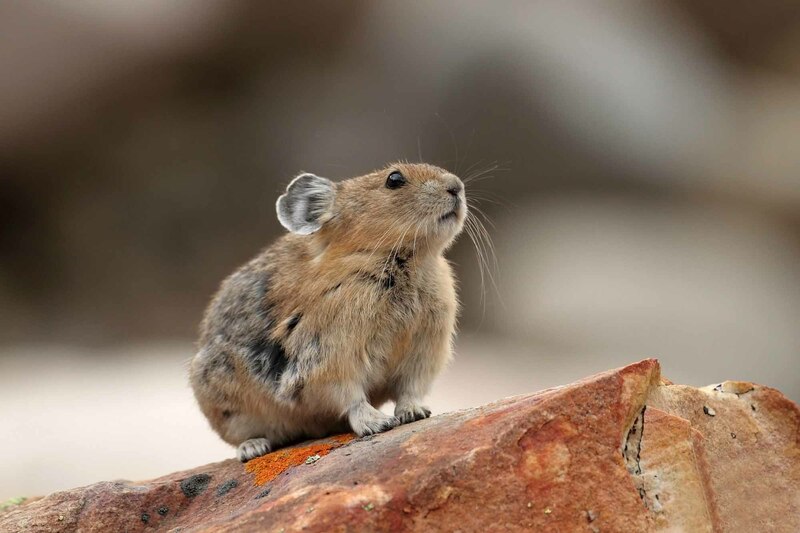 They are known by various names including cony and rock rabbit, the latter referring to the fact that N American and some Asian pikas occur only in rocky habitats. 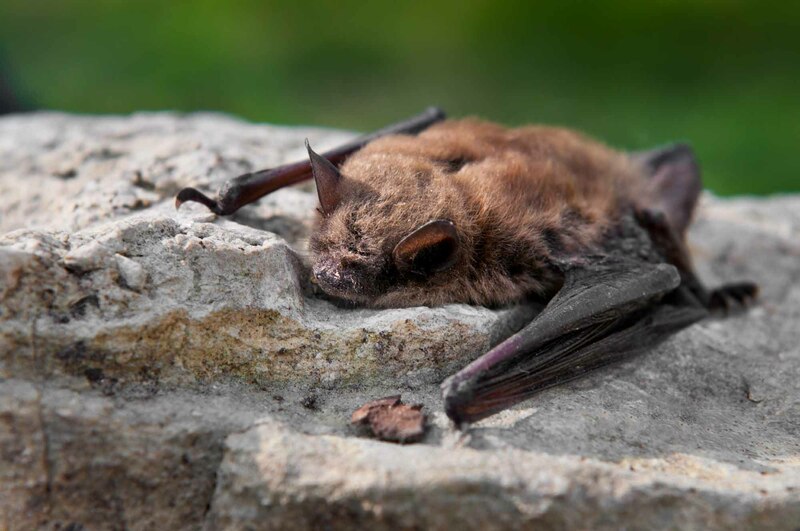 Two species are known in Canada; 18 worldwide. 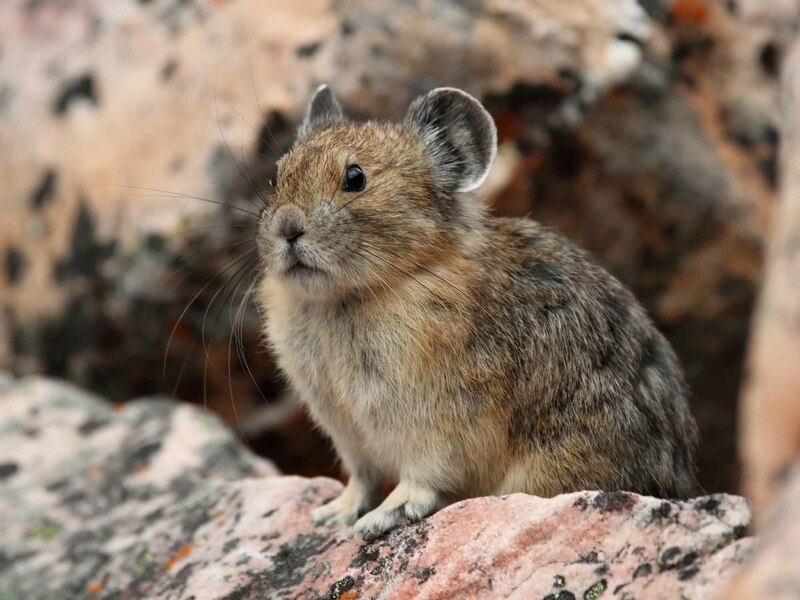 Rocky Mountain pika (Ochotona princeps) is found throughout the Rocky Mountains in BC and Alberta. Collared pika (O. collaris) is found in northern BC and throughout YT and Alaska. Pikas are versatile feeders, eating most plants in their habitat. As they do not hibernate, pikas gather cuttings of preferred plants, cure them in sheltered, sunny places, and store them among rocks for winter use. 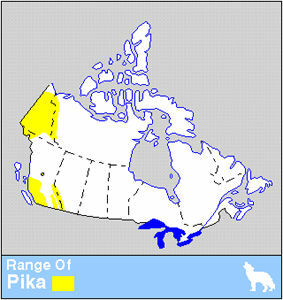 Pikas are diurnal, and both Canadian species are colonial. 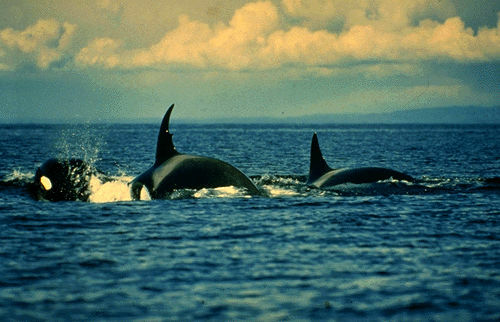 Within a colony, individuals tend to occupy exclusive home ranges, but during breeding season, male and female ranges overlap. 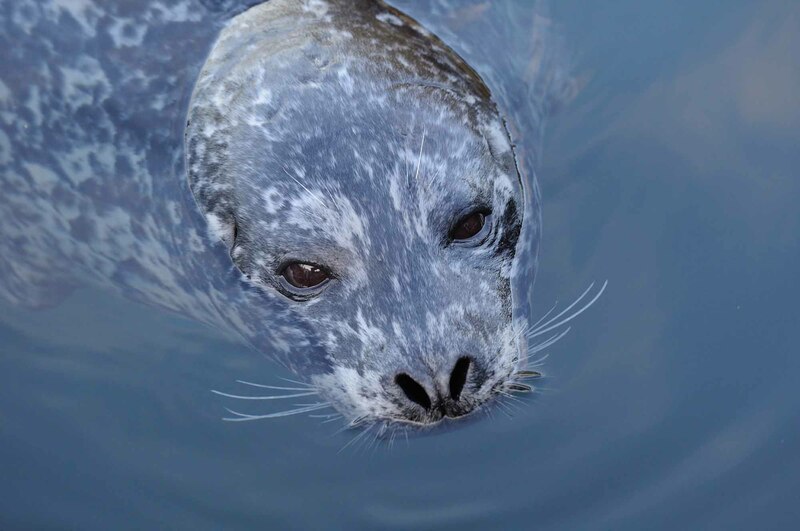 Breeding generally occurs twice, in spring and summer; 2-6 offspring are born per litter. Pikas are an important source of food for many fur-bearing mammals.